By bringing a team of artists from of South Australia’s The Mill to Indonesia it will introduce and connect the team to a network of contemporary artists and creatives that stretches across Indonesia - from Denpasar to Bandung, Jakarta, Jogja to Pulau to Flores and beyond. Similarly the project will introduce dancer and architect Adhika Annissa (Java) to Adelaide and Australia’s arts community, providing them an opportunity to experience a creative development in the heart of South Australia’s resident artistic community. Directors Erin Fowler and Amber Cronin and a team of The Mill associated artists, are excited to work in an immersive and unguarded manner for this collaboration. Given the collaborative and location specific nature of this project, the team will work from a clean slate in the initial stages of the project as a starting point for mutual collaboration and exploration. Audiences were invited to an all-inclusive music, theatre, dinner, drink and dance experience, from The Mill and The Happy Motel. 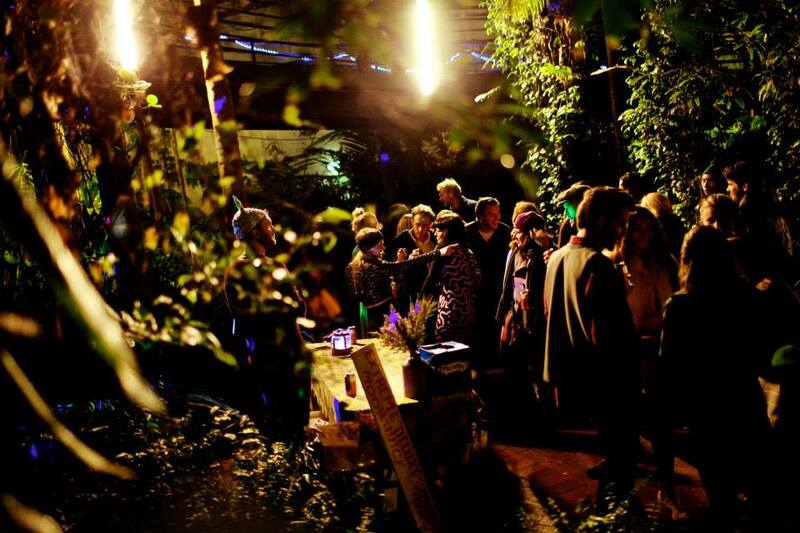 Join us at a full moon for a curated arts event for the ages in the exotic rainforest environment of the Adelaide Botanic Garden’s Bicentennial Conservatory. Come celebrate the intricacies and mysteries of our great Universe. Peer into the unknown; familiarise yourself with the machinations of the machine, and the lilting loops of the eclipsing moon. All eyes are on the future - unlike World Fairs of the Past, Nebula Deluxe concentrates on puzzling problems rather than trumpeting triumphs. Our imaginations circle far beyond the fading memories of Paris, London, Chicago and St Louis. 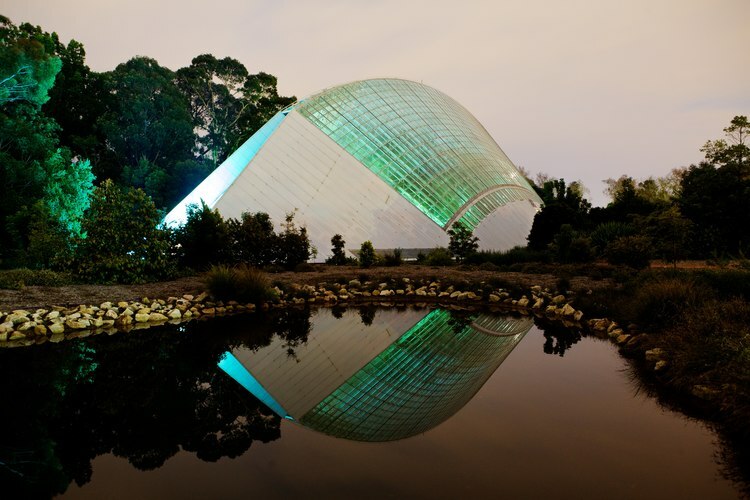 Come lift your spirits under the light of the blue moon in the Adelaide Botanic Garden’s Bicentennial Conservatory. Witness groundbreaking exhibitions that venture far beyond our skies in ATLAS - an immersive cinema, soundscape experience created by 6 artists within a planetary dome. A 20 min video work consisting of four short videos made collaboratively by ten South Australian based visual artists, musicians, and film artists. ATLAS is a collaborative project which facilitated the development of four short film based works which consider things beyond our skies within a planetary dome. These immersive works and soundscapes are presented inside the 180 degrees of cinema. ATLAS is a fulldome immersive cinema experience made during the 'Dome It - fulsome production workshop series' led by Amanda Phillips and Alexander Waite Mitchell of Felicity Arts. The 2015 fuldome films are co-commissioned by The Mill Adelaide and Felicity Arts thanks to Arts South Australia. All works have been made in collaboration and consultancy as part of 'Dome It' with production by Felicity Arts. Pantheon was an immersive performance event, publication and exhibition series. Pantheon challenged twenty-one Adelaide artists to find their own personal mythology and reflect on the universal relationship between place and story. Over two nights audiences went on a dark journey into a dream space created within the walls of The Mill Adelaide where, regardless of religious persuasion, you will experience the eternal, the personal, the real and the imagined. Consisting of 8 performances and a group exhibition Audiences were led through a labyrinth of tales of the gods, interacted with performers and witnessed dance work unravel before them. The Mill's publication offers a written realisation of these works, foreward by Jeff Khan (Performance Space AD, SYD) and written creative work by Jens Van Horne and Critical Review by Jane Howard. BEFORE PHILOSOPHY BECAME A SEPARATE DISCIPLINE, THE POETIC IMAGES OF MYTHS AND GODS WERE THE CENTRAL WAY IN WHICH PEOPLE ADDRESSED THE IMMEDIATE QUESTIONS OF LIFE AND DEATH. THEY QUESTIONED AND STUDIED NATURE, THE STARS AND UNIVERSE, THE RELATIONSHIP BETWEEN HUMAN BEINGS AND THE SUPERNATURAL, AS WELL AS THE REA- SONS FOR CERTAIN CUSTOMS OR WAYS OF BEHAVIOUR. MYTHS MADE VISIBLE TO INDIVIDUALS THEIR DEEPEST LONGINGS AND IMAGININGS AND, SO, OFFERED A WAY IN WHICH SOCIETY COULD UNDERSTAND IT’S OWN BEING. THE NATURE OF THE GODS AND MYTHS OF ANY CULTURE ARE TO SOME EXTENT CONDITIONED BY THE NATURE OF THE LAND IN WHICH THE STORIES OF THE FIRST TELLERS OF THEIR STORIES LIVED. UNIVERSALLY, THESE CREATIONS AND STORIES MAY HAVE TAKEN THE FORM OF A LIVING PRESENCE –SUCH AS A GODDESS OR A GOD, OR AN ANIMAL OR BIRD - OR PERHAPS THE MOON, SUN OR LANDSCAPES OF EARTH. EITHER WAY, THESE STORIES AND CREATIONS WERE, AND ARE, AN ATTEMPT TO REACH FOR AN IDEA THAT WOULD RE- VEAL PATTERNS AND STRUCTURES IN ORDER TO MAKE SENSE OF THE WORLD. The Magpie called by name. I always knew that being called ‘Woooblwobliboublouu blou’ would be a problem. U-Gene-e in a can. Aka the god of canned Genius: Campbell's Soup, Spaghetti Toasties, Heinz Baked Beans, etc. Ms Spectacle with Spectacles. Aka the god of receiving attention purely by winking. (Without being sleazy) Pure Suave.